“We have great mathematics and it’s also excellent in Prague,” says the rector of the revived Sorbonne. It was spring 2017 and the large lecture hall of the Faculty of Mathematics and Physics at Charles University in Prague was packed to the rafters. Below, on the stage, an elegant Frenchman with a blue tie and large golden spider on his label was giving a lecture. On that day in April, Professor Cédric Villani spoke to Czech students and scientists About Particles, Stars and Eternity, as his lecture was titled. Villani is one of the world’s leading mathematicians and holder of the Fields Medal (2010). He serves as the director of the Institut Henri Poincaré in Paris and teaches at Université Claude Bernard University in Lyon, where he focuses on partial differential equations, Riemannian geometry and mathematical physics. Thus appeared one of the recent contacts between a top French scientist and Czechs, who of course share other links in numerous fields. However, mathematics and physics are the disciplines in which they excel in terms of quality. This is confirmed by the rector of the “reborn” Sorbonne. 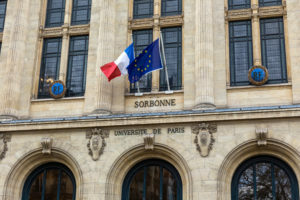 Several years ago, two Parisian universities – Université Paris Sorbonne (Paris IV) and Université Pierre et Marie Curie (Paris VI) – decided to fully revive the famous name and to join forces, which happened in January this year. And they thought about Czech contacts. 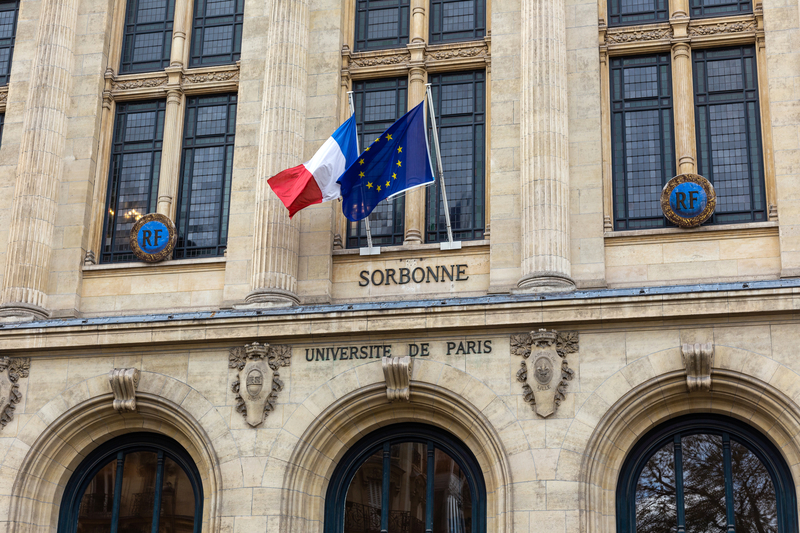 “The Sorbonne is basically a young university, but with an eight-century history. We discussed in the Czech Republic the synergies and development of excellent research. Personally, I’m in Prague for the first time, but a number of my colleagues from the Sorbonne already have contacts here. We have great mathematics and it’s also excellent in Prague. Close cooperation in physics is offered together with Charles University and Heidelberg and in other fields,” Rector Jean Chambaz told Lidové noviny in July. According to Chambaz, scientists could jointly focus also on climatology, the issue of aging and Smart Cities. Together with Warsaw, all three of the aforementioned schools are members of the 4EU alliance, i.e. new platforms for education, research and resolution of challenges of the era; they are also preparing joint study programmes. “Prague and Warsaw are leading research universities and we need partners in Central Europe,” adds Chambaz, who previously headed the university named for Pierre and Marie Curie. It is no accident that one of the members of the International Advisory Board of Charles University is Maria Esteban, a French mathematician who directs research at the Centre national de la recherche scientifique (CNRS). Some Czech mathematicians and physicists have already excelled in the land of the “Gallic rooster”. Two years ago, Czech physicist Lenka Zdeborová, at CNRS, received a European Research Council (ERC) starting grant; a year prior to that, mathematician Martin Vohralík, at the National Institute for Research in Computer Science and Automation, was awarded an ERC consolidation grant. “The content of the grant is numerical mathematics, though with students and colleagues, we will focus also on applications for acute ecological problems,” Vohralík told Lidové noviny. Vohralík graduated from the Faculty of Nuclear Sciences at the Czech Technical University in Prague and later continued his studies at Université Paris-Sud. His research project is focused on the theory of a posteriori estimates. “They enable a small miracle: estimation of errors in performed numerical simulations. 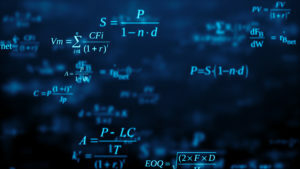 Thanks to that, it is possible to determine the extent to which the calculated result is accurate, close to a precise solution,” Vohralík said. 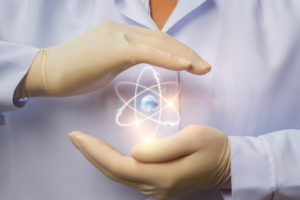 Development of the theory could lead to a fundamental acceleration of complex calculations and would be useful for two anticipated applications: for simulation of deep repositories of spent nuclear waste and for simulation of prospective underground repositories of carbon dioxide, of which there is an excess in the atmosphere. France is a scientific giant, ranking sixth in the world (closely behind Japan) in the current edition of the Nature Index in terms of the publication volume of basic research. The French excel in the physical sciences, as well as in biomedical fields and chemistry. The largest number of top-level articles are from CNRS, which has a significant Czech partner in the Academy of Sciences of the Czech Republic, and from the previously mentioned Université Pierre et Marie Curie (Paris VI) and Commissariat à l’énergie atomique et aux énergies alternatives (CEA), which is focused on energy and new technologies. An analysis of joint works published in 2016-2017 and registered in Web of Science indicates that French researchers are the fourth most frequent partners of Czech scientists with 2,690 joint studies. The first were Germans with 3,918 collaborative studies, followed by Americans (3,862) and Brits (2,913). Evidence that physical sciences and energy are particularly important for these two EU countries is the establishment of the Czech-French Working Group for Energy. At the fifth session of the group in 2016, both countries’ delegations expressed interest in research focusing on problems connected with decarbonisation of the energy mix (integration of renewable sources and modernisation of energy grids). “The meeting was attended by representatives of Czech and French organisations operating in the area of handling radioactive waste (ANDRA France and the Radioactive Waste Repository Authority of the Czech Republic), research centres (CEA together with the Nuclear Research Institute in Řez and universities. A major part of the meeting was dedicated to an evaluation of positive cooperation between those institutions and the position of nuclear energy in this changing sector,” stated the French Embassy in Prague. Both countries had previously expressed interest in improving education in the area of nuclear energy (France was represented by the I2EN consortium of schools, institutes and firms conducting research around the “nucleus”), in which the Czech Technical University Faculty of Nuclear Sciences and Physical Engineering excels with its Golem and Vrabec academic reactors. The French embassy is quite active in supporting cooperation with the Czech Republic; Professor Pierre-Bruno Ruffini, author of the book Science and Diplomacy, spoke about the meaning of science diplomacy in summer this year at the French Institute. Stipends for students-interns and doctoral candidates are well known, as are the prizes that has already been awarded by the Embassy of the French Republic 21 times to outstanding young scientists from the Czech Republic. Since last year, a committee has chosen winners in six categories: chemistry, medicine, computer sciences, pharmacy, nuclear research and humanities/social sciences. This June, three French Nobel laureates presented awards to twenty Czechs. “You don’t work only because of your career; you work for science. If you have passion for science, you will be successful,” said Serge Haroch (2012 Nobel Prize for Physics). The French also have an eye on new research centres in the Czech Republic, namely the Extreme Light Infrastructure (ELI) laser centre, whose design was aided by recent Nobel laureate Gérard Mourou, and the International Clinical Research Centre at St. Anne’s University Hospital (ICRC-FNUSA) in Brno, which specialises in heart disease. Last year the ICRC was visited by science attaché Mathieu Wellhoff. “Development of collaboration with researchers at French institutions is one of our priorities, as French science holds a significant position in the European Union. For example, France is the third-biggest recipient of grants from the Horizon 2020 programme in terms of financial volume,” said Martin Pavlík, director of St. Anne’s University Hospital. Scientists in Brno are already collaborating with their counterparts in Lyon (epigenetics, aging) and Montpellier (stem cells). French innovative firms are strong in chemistry, pharmacy and mechanical engineering (Peugeot and Citroën cars are manufactured at the TPCA factory in Kolín, Central Bohemia), and thus frequently seek partnerships at technical universities. Cyberneticists Josef Šivic, who received an ERC starting grant while at INRIA in 2013, has built up contacts in France and today conducts research at the Czech Institute of Informatics, Robotics and Cybernetics (CIIRC) of the Czech Technical University. Another point of interest is that Docent Vladimír Velebný of Contipro, one of the most successful biotechnology firms in the Czech Republic, which produces preparations of hyaluronic acid for medical and cosmetic uses, worked as a researcher in Paris in 1983-1984 and took inspiration from the Skin Institute in Lyon. Matters “under the skin”, below the surface, should be understood also by experts in the field of social sciences, who for decades have drawn inspiration from French thought and figures such as Foucault, Derrida and Barthes. The French Research Centre in Humanities and Social Sciences (CEFRES), which was transformed into a research platform a few years ago with the direct participation of the Academy of Sciences of the Czech Republic and Charles University, has been operating in Prague since 1991.